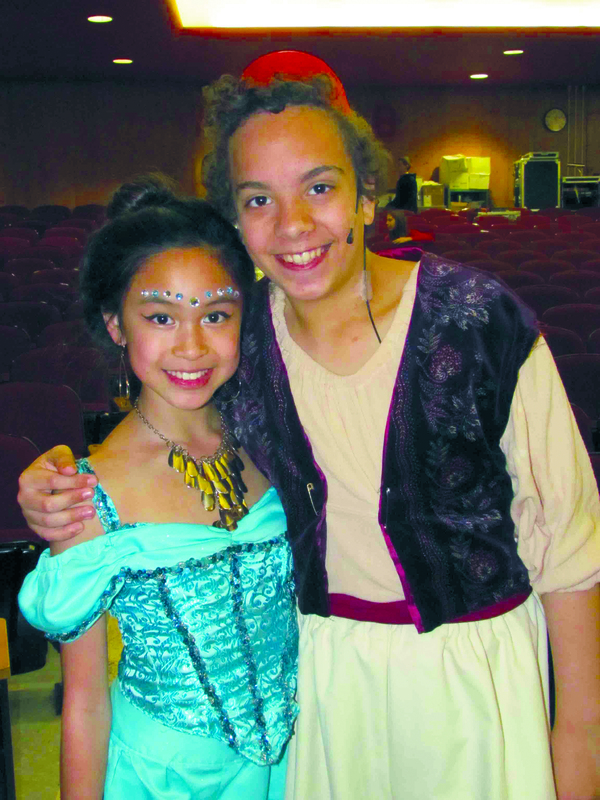 Cassidy Baltazar and Evan Erdakos played the roles of Jasmine and Aladdin. Under the direction of Richard Cirillo and Lisa Levenberg, the Salk Drama Club drew a packed audience for the school’s production of Aladdin Jr. recently in Levittown. Based on the popular Disney movie, the play told the story of a fictional Middle Eastern town of Agrabah, where Princess Jasmine, played by Cassidy Baltazar, awaits her father’s choice of a groom. Jafar (Ryan Conway), who is planning on taking over the throne, saves Aladdin (Evan Erdakos) by ordering him to fetch a lamp from the Cave of Wonders. There, Aladdin comes into contact with a genie (Shannon O’Leary) and takes on a new identity as Prince Ali to steal Jasmine’s heart and to set the genie free. 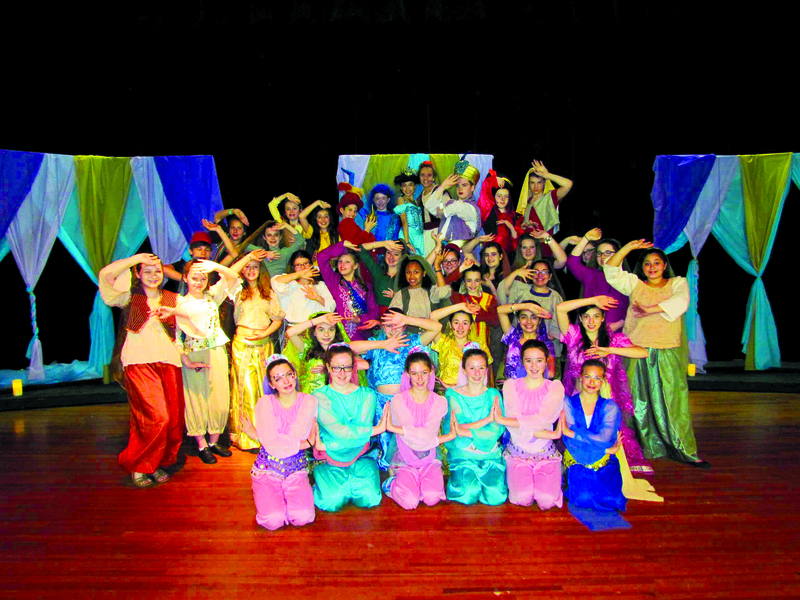 The cast of Aladdin Jr.
Musical selections added to the upbeat tone of the play including “Arabian Nights,” “A Whole New World” and “Friend Like Me.” The success of the play was also the result of efforts of choreographer Jennifer Mitchell, Matt Malin (set construction), John Mazzarella (set design, set construction and graphic designer), Helen Papayannakos (set construction), Chakira Doherty (costumes) and assistants to the director Carter Hurley, Megan Murray and Mackenzie Zorn.